The 1982 motion picture titled “Creepshow” is perhaps one of the most unique horror movies of all time because it’s not just one but five short stories combined into one feature film and there’s no limit to how wild, crazy, fun, frightening or disgusting they can get. Based on the EC horror comics like “Tales from the Crypt”, these five short stories where written by legendary horror author Stephen King, some where written for the screen-play specifically while others where adapted from his short stories. It’s a rare kind of horror film that doesn’t aim for scares, instead it just busts loose and has fun with itself, using lots of fun color techniques and stylish cartoon visuals during transitions that are reminiscent of a comic book strip. Part of the joy of experiencing a film with a horror/ anthology style like this is not knowing what you’re in store for next, anything can happen. The first episode is titled “Father’s Day” and it’s perhaps the weakest of the five episodes. 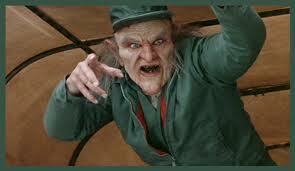 Basically, a grumpy old man comes back from the dead as a zombie to seek revenge on his family members. It’s as basic a story as you can get with lots of average characters and basic excitement. But to be fair, it does help set the tone for the rest of the specials and the Zombie make-up is quiet good, but that’s probably expected considering that this film is directed by George A. Romero, who’s often regarded as “The Godfather” of Zombie movies. 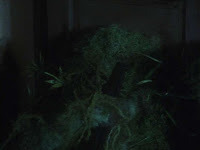 Next is “The Lonesome Death of Jordy Verrill”, which is far sillier than any of the other episodes. A meteor crashes on a farm and spreads some kind of plant vegetation. It’s kind of neat to have something as simple as plant growth be the main situation at hand. 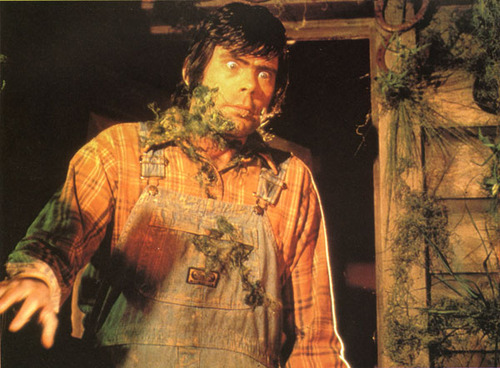 But the reason this episode stands out is because of Stephen King’s over the top performance as the farmer. It’s a fun contrast to see the guy who scared people with countless frightening stories to be this goofy dope of a farmer. 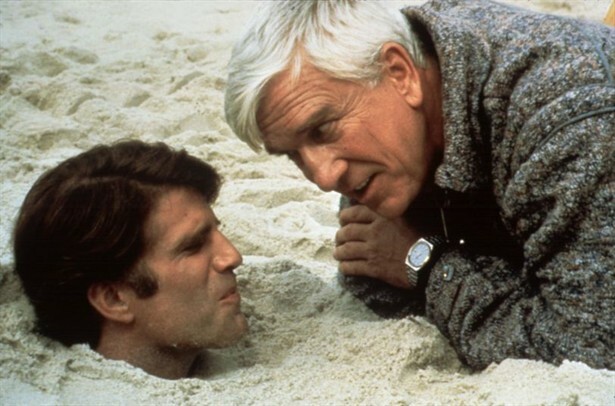 The middle episode titled “Something to Tide you Over” is my personal favorite, largely due to the lead performance from one of my favorite late actors Leslie Nielson. 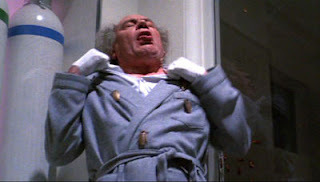 However, Nielsen isn’t playing a funny comedic relief character like he did in “Airplane” or “The Naked Gun” films, instead he’s playing a vengeful mastermind whose out for revenge. He learns his wife was cheating on him so he berries her and her lover neck deep on the beach as the tide comes in. 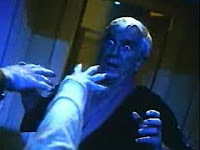 It’s such a suspenseful seen and I never thought that Leslie Nielsen could be so frightening. The way he calmly talks to them while also taunting them as they droned is very unsettling and it all goes to show how versatile Nielson can be. The climax of this episode is especially good, featuring more cool monster effects, makeup and a relatively chilling atmosphere. Episode four is titled “The Crate” and this one’s a lot of fun, it’s all about this mysterious crate that holds a monster trapped inside. The creature eventually escapes and stalks people one by one on the school grounds. It’s the longest of all the episodes but there really isn’t all that much that I need to say, it’s cheesy, B monster entertainment at its finest. The last episode titled “They’re Creeping up on you”, goes straight for the gross out factor. “Bravo” even labeled it as one of the one-hundred scariest moments in film because of just how repulsive it is. 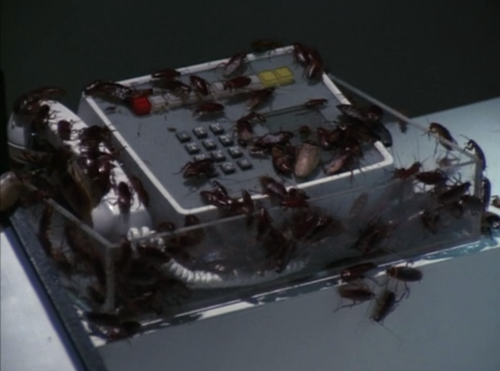 The story’s all about this jerk who’s constantly attacked by bugs in his office and if you can’t handle the images of cockroaches bursting out of a man’s body, you should probably skip this one. My only real problem that I have with this film is the prolog and the epilog, which focus on this boy who’s being mistreated by his dad, then in the end, the boy gets his revenge in the most unspeakably cruel way imaginable. This might just be the worst epilog I’ve ever seen in my life and it completely ruins all the fun that the movie has to offer. 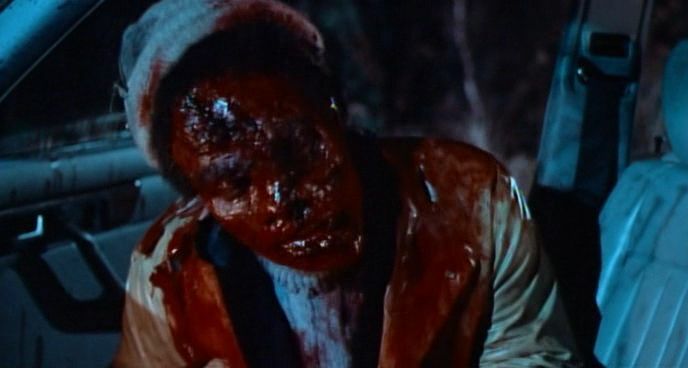 Having said that, this is still an enjoyable horror/ anthology flick, Tom Savini’s special effects are as great as ever, the direction is very stylish and in the end, it shows you just how fun a horror movie can be. I give “Creepshow” 3 ½ stars. 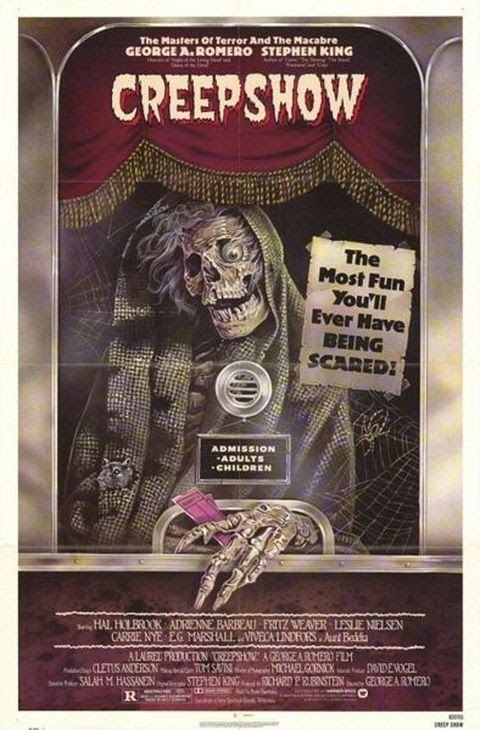 Next, in 1987 there was the sequel, simply titled “Creepshow 2”. George Romero, Tom Savini and Stephen King are all back for this film, giving it that same fun comic book, anthology style and adapting more of Stephen king’s short stories. Both the Intro and Outro are much better than the last film, using more of a flashy cartoon style, they aren’t nearly as mean spirited as before and we also get Interlude’s between each short film. Unfortunately, this movie only features three episodes instead of five, which is a real annoyance and restricts you from having as much fun, thankfully this sequel dose have some improvements. The first episode is titled “Old Chief Wood'nhead”, there’s some great acting in this episode, particularly from George Kennedy, who plays a very kind and loving store owner. Unfortunately, this episode drags at a snail’s pass and the payoff is bitter sweet. Basically, he’s robed by these three idiots that despise Indian culture, even though it’s there inheritance. This angers a giant Indian statue that was in the shop, which latter goes on a killing spree. Next episode is titled “The Raft” and it has completely opposite problems. The story is far more exciting and suspenseful but the characters are people that you could care less for. It’s all about this group of young adults that are out vacationing at a lake. 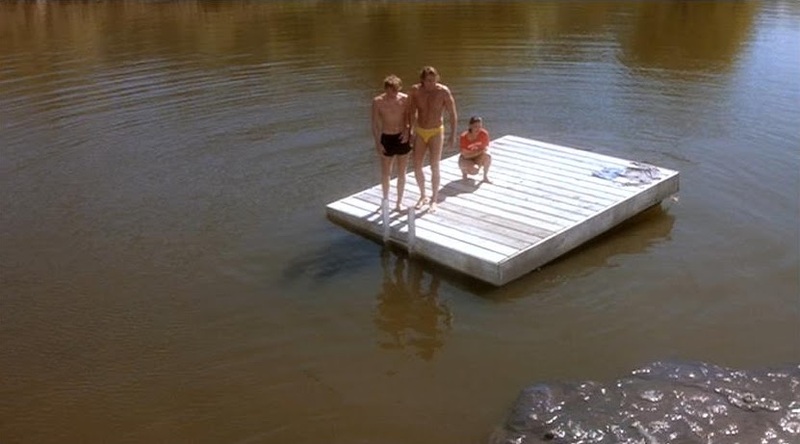 Soon they find themselves stranded on a raft because the lake water is suddenly filled with some kind of slime that melts flesh. It’s an exciting concept and the way this situation gradually builds is very intense. I just wish that the characters could have been a little nicer. 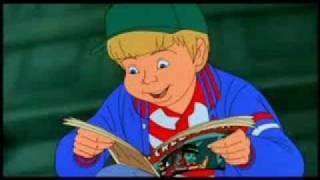 The last episode titled “The Hitch-hiker” is my personal favorite of all the “Creepshow” shorts from either of the movies. It’s about this woman who’s coming home late one night from work and accidently runs into this pore man on the road, taking his life. 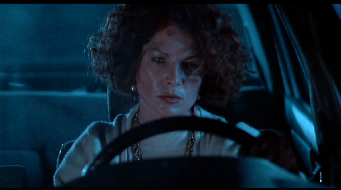 In the heat of panic, she drives off and gets lost in the woods. She’s having a hard time copping with what just happened and what she’s doing but then things get really intense as she’s followed by the man she hit. At first the episode doesn’t establish if it’s his ghost back for revenge or if he’s a figment of her troubled imagination. Either way, there’s nothing quiet as terrifying as being followed at night by a man you just accidently murdered. 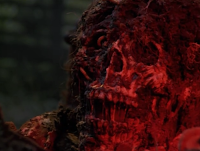 The tension in this episode is great because whenever she tries to escape this guy, he always reappears again, either on the road or even in her own car and his appearance gets more and more decayed every time. It’s a really intense concept pulled off very well, with an eerie atmosphere and plenty of scares. 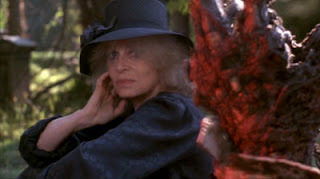 Overall, “Creepshow 2” is an uneven sequel with small problems throughout, but it still has its fare share of really good stuff and the last episode certainly makes it worthwhile. 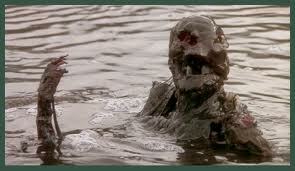 I give “Creepshow 2” 3 stars out of 5. 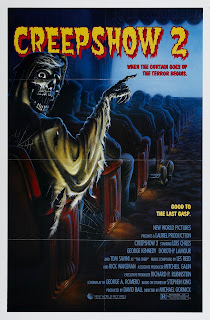 There was another sequel titled “Creepshow 3” but I’m not going to review that one because it was an independent project, released straight to video and had no involvement from either George Romero or Stephen King. 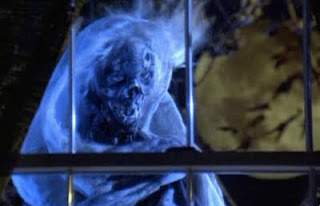 There was also the “Tales from the Crypt” TV show that was inspired by these films and there’s plans for more “Creepshow” sequels on the way. 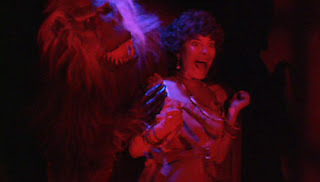 If you want some really fun tricks and treats this Halloween, I say check out either “Creepshow” or “Creepshow 2” because there the most fun you’ll ever have being scared.